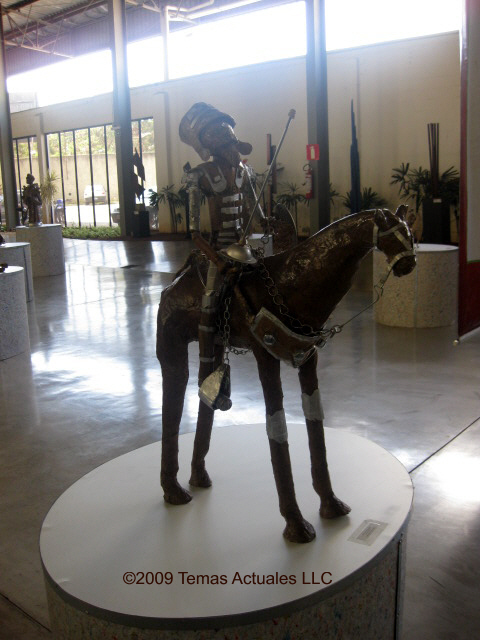 Yesterday I visited an institution in Belo Horizonte (BH) that, to my knowledge, is unique in Brazil, if not the rest of Latin America and the Caribbean (LAC). 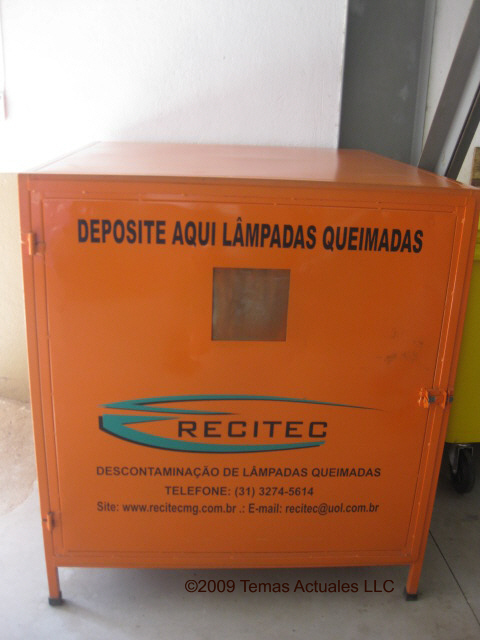 The Minas Waste Reference Center (Centro Mineiro de Referência em Resíduos – CMRR) opened in 2007 with the mission to serve as the focal point in the Brazilian state of Minas Gerais (MG) for everything and anything associated with solid wastes. I’ve heard some good things about CMRR, and wanted to see if it was as impressive in person as it sounds in print and on the web. The Center is jointly run by the State Environment Secretariat (SEMAD), the State Environment Foundation (FEAM), and Minas’ Voluntary Social Assistance Service (Servas). 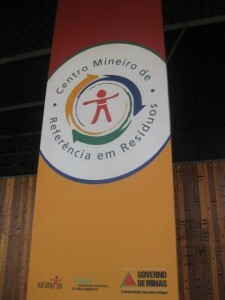 CMRR also is billed as a public-private partnership with many patrons. 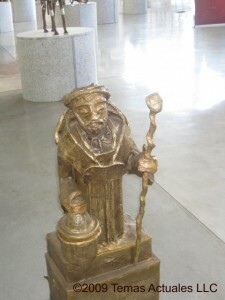 * It is intended to serve many different end-users: the state government, city administrations, business/industry, NGOs, academia and communities. CMRR encourages group visits — it is essential to one of its five missions, environmental education — on Wednesday or Friday. The bulk of the Center’s visits are by school groups of 10-40 kids seven years of age or older. 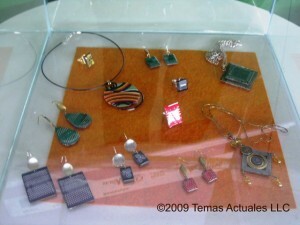 But you can arrange for individual visits by appointment, as I did. 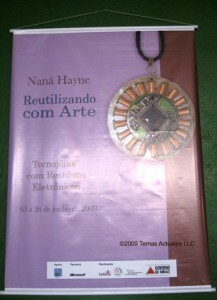 You don’t have to be the author of a book on waste and recycling, although I’m sure it doesn’t hurt either. 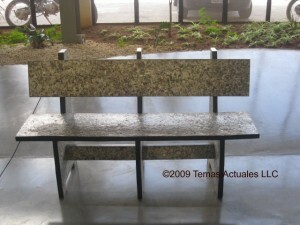 CMRR is located in the eastern BH neighborhood of Pompéia, an easy trip from the city center by metro, bus or taxi. It’s rather easy to spot as you approach its portal, because the high walls surrounding the complex are adorned with decorations made with recovered materials. I wish I had my own picture of this, but the taxi driver did not heed my request to stop long enough to snap a photo, and when I departed I was in a hurry to get to my next appointment. But you can see a decent shot taken by Roberto Gloria here. 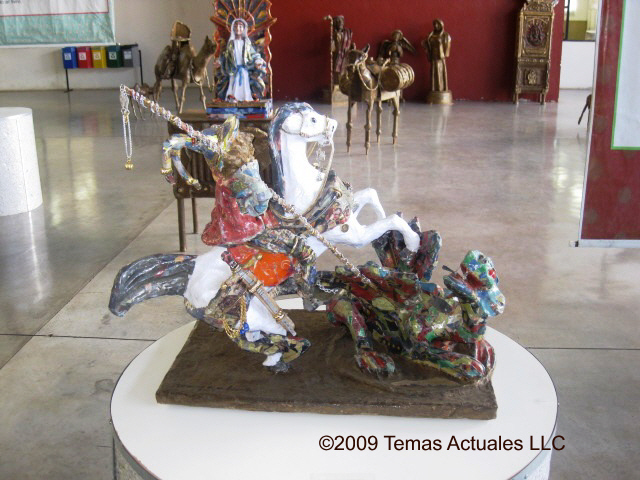 When you enter the gate, you see a large structure set behind a lot sprinkled with sculptures made of recovered or recycled materials. 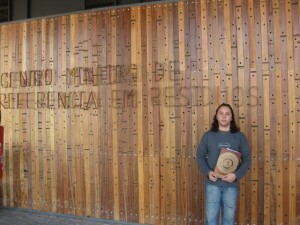 This photo is Daniel of the Center’s Programa Portas Abertas (“Open Doors Program”), who was my guide during my visit. 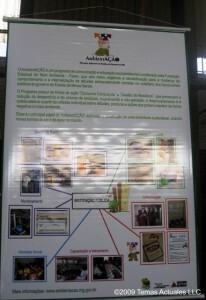 Muito agradável, very helpful and informative. 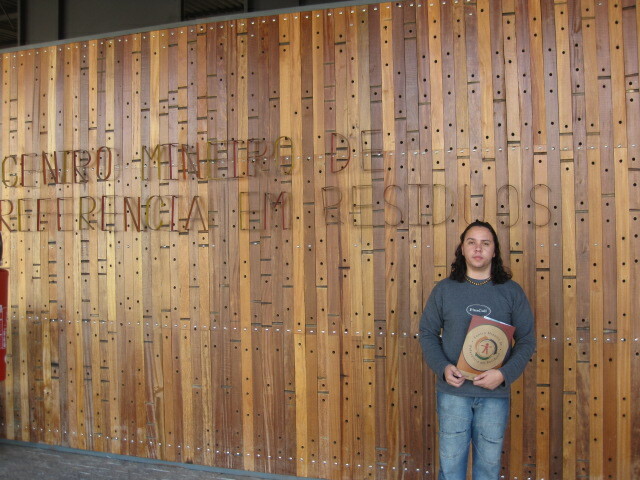 That folder with pockets he is holding contains a wealth of educational and informational materials on waste issues that the Center offers to any visitor. 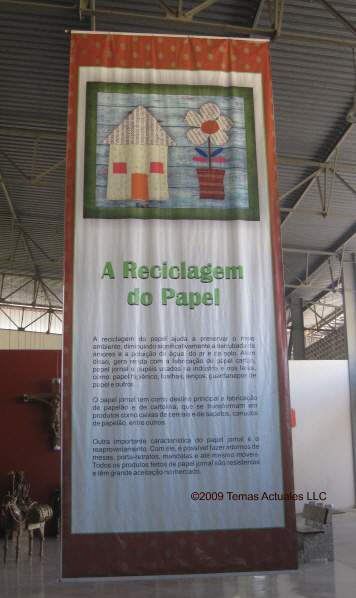 I thought it an interesting contrast to what we so often see practiced in North America and Europe (and with some corporate materials circulated in Latin America) that while both the booklets and folder were clearly made of recycled fiber, this fact was not imprinted anywhere on them. As some of you have probably guessed, that paneling on the wall behind Daniel by the front entrance to CMRR is reused material. 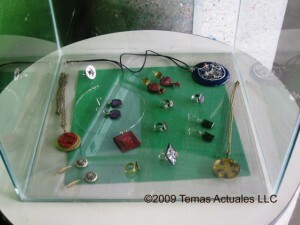 In fact, you can say that the whole Center is reused/recycled. I don’t recall what Daniel said the complex was in its prior life before becoming the unused building and lot that the State transformed into the CMRR, but it looks to me a bit like the type of concrete structure used for warehouses or transfer stations. When you enter the building, you first enter a large open area that serves as the permanent exhibition space, with sculptures and display cases sprinkled around the floor. The simple ceiling of corrugated metal is high, with colorful banners hanging down from the rafters featuring classes, lectures, workshops and recycled art exhibits offered by CMRR, or factoids about waste and recycling. The banners featured here is about an exhibit of “dreaming sustainable art” that includes items made with drink can tabs (reminds me of the can tab purse or the can tab jewelry). Just off the large exhibition space is an experimental kitchen and several workshop spaces. The kitchen is interesting – there chefs not only teach cooking, but how to best make use of all materials and to reduce food wastage. Unfortunately my photo of the unlit kitchen (it was not being used for a class when I toured) turned out too hazy. In one of the workshops I spotted in the corner the result of a class given showing people how to construct the solar water heaters made with used PET bottles, aseptic packaging (tetrabrik) and PVC piping. 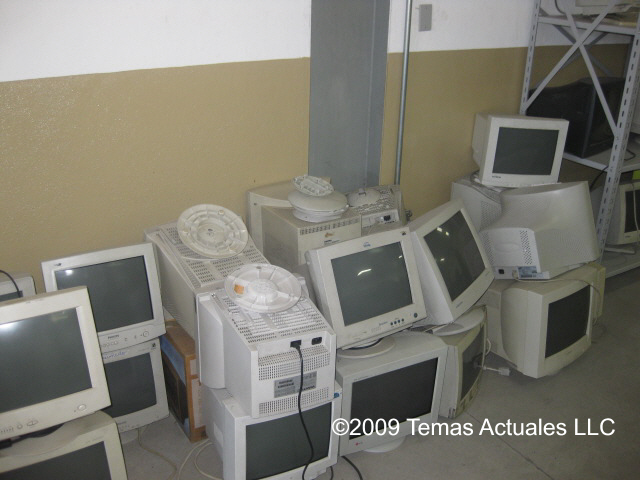 Among many other tasks, the CMRR has been working with FEAM on that body’s project addressing electro-electronic wastes (e-wastes) nicknamed “3RsPCs” [3Rs = reduce, reuse, recycling; PCs = personal computers]. 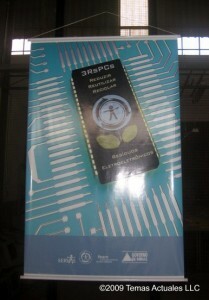 That’s the banner for the program on the right. 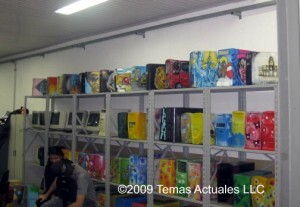 The day I visited, the training class was painting the used CPUs they had refurbished. 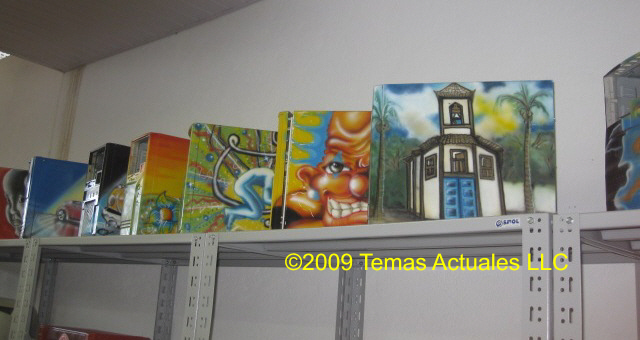 According to Daniel, there are no set templates for these paintings — students are encouraged to use their imaginations, be creative. 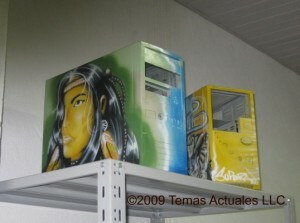 Certainly among all the units I saw there on the shelves and work table (click on the picture at right and the two just below this paragraph to see larger images) were decorated differently, each one a unique work of art. And I do mean art! Many of them were beautifully done and I think would be quite cool decorating a desk. This type of decoration for refurbished computers strikes me as a good idea — enhancing the attractiveness of normally bland and boring CPU cabinets. I can’t recall having seen something similar done in refurbishing operations in the US or elsewhere in Latin America. I wonder why not? 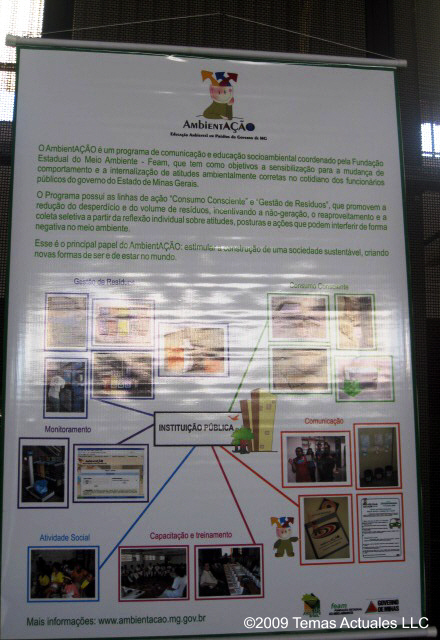 The first banner at right discusses MG’s AmbientAÇÃO program. 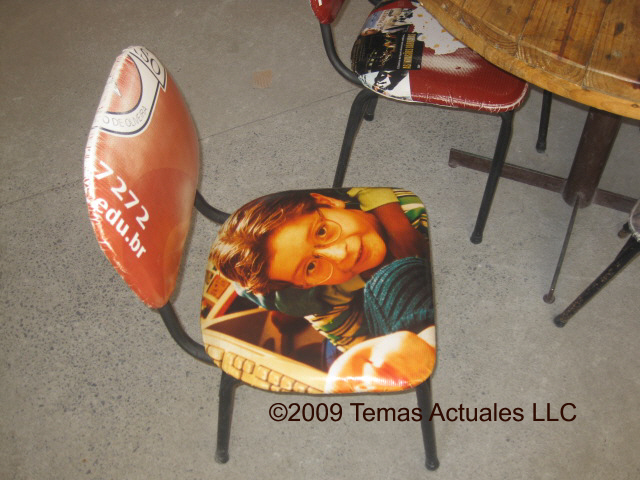 This program, created by FEAM in 2003, works to get state agencies to sort recyclables in the workplace, practice “conscientious consumption” and take steps to improve the workplace environment (reduce noise pollution, make offices smoke-free, etc.). CMRR’s specific role within the program is to help all state entities reduce their waste generation, sort recyclables, collect and dispose responsibly of potentially hazardous items such as batteries or lamps containing mercury, and where possible use recycled goods or goods with recycled content. 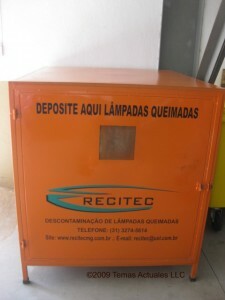 It is also tasked with helping MG municipal administrations do likewise, and to help them design their municipal waste management plans and ways to bring catadores into formal waste management and recycling systems. 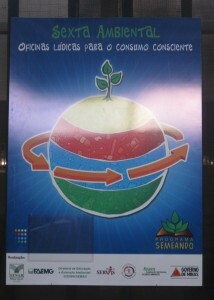 CMRR’s work on “conscientious consumption” goes beyond state and municipal administrations, however. 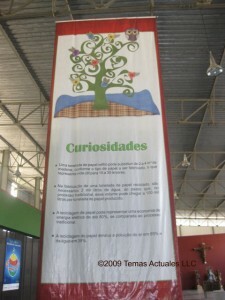 The blue banner above is for the “fun workshop” the Center offers every Friday to teach people how to become environment-friendly in their everyday practices and decisions, particularly those involving consumption. CMRR also practices what it preaches. 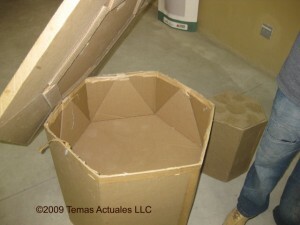 Color-coded bins for separating recyclables by material can be seen throughout. 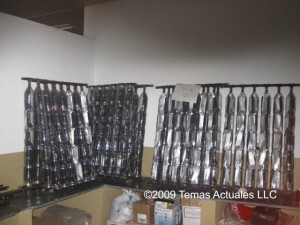 The photo at right is a special collection box back in the work office portion of CMRR for depositing burnt-out fluorescent lamps (the Center uses mostly energy-efficient fluorescents) that ensures that they don’t break before being picked up by a company licensed to handle and dispose of them. 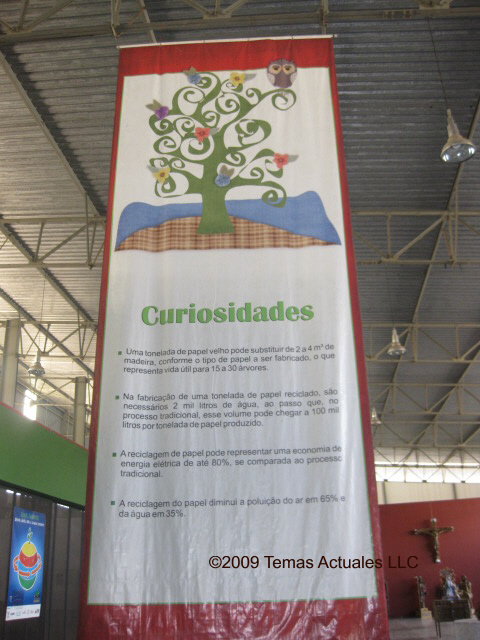 CMRR has a large auditorium that it uses to host public events, such as the series of public dialogs on reducing packaging waste and other waste streams, or the disclosure of the initial results of the WEEE diagnostic for MG state. Much of the auditorium appears unremarkable. The exception are the walls, which you see pictured below (click on the images to see larger versions), the one on the left before the auditorium lights were switched on, the photo on the right after they were activated. 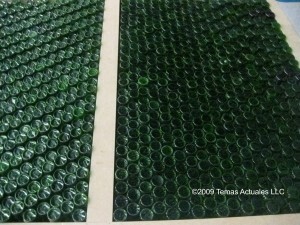 There’s a good reason for the unusual pattern and color of the wall: it’s made of used green glass bottles. 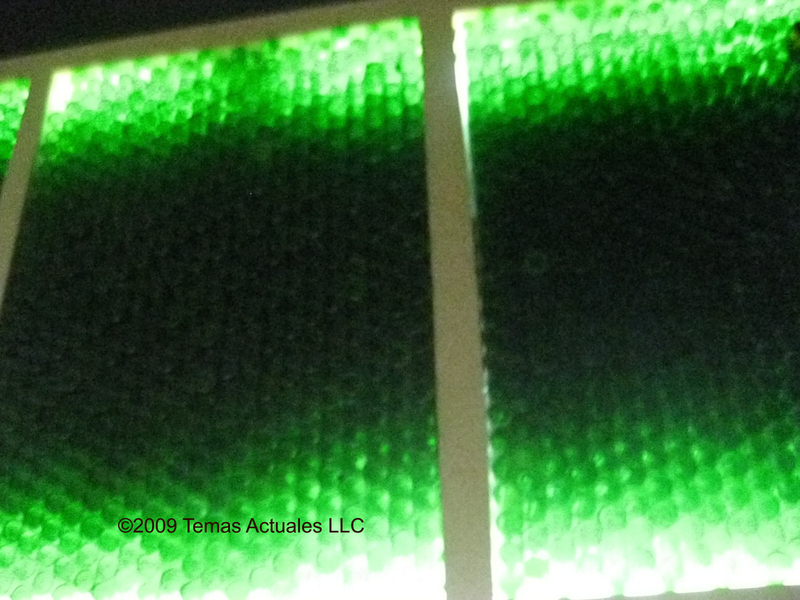 I’ve never seen anything like that before, so I asked what was the reasoning — beyond, of course, simply experimenting with the use of recovered packaging in construction. 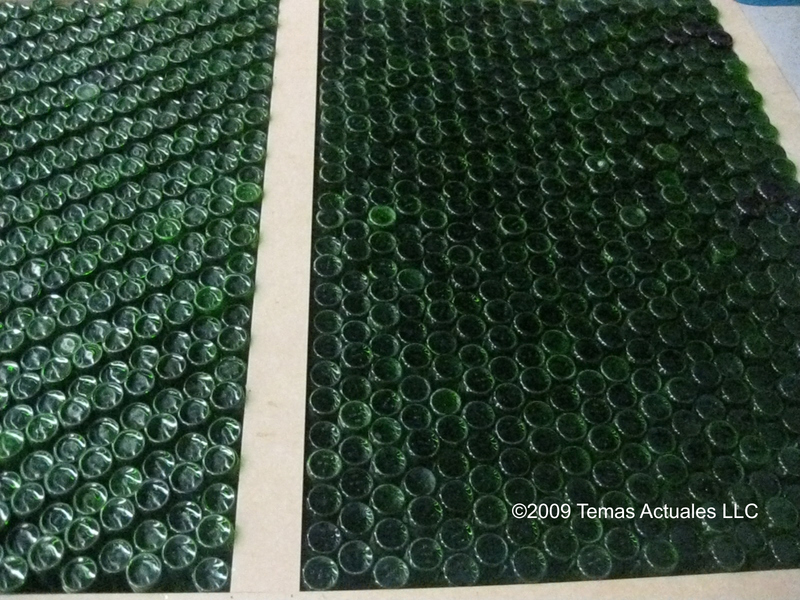 I was told that the bottle walls are not just for show — they make good insulators and by subtly adjusting the depth of the individual bottles so that the surface is uneven, they are better at providing soundproofing than most walls used in auditoriums. Evidently this was someone’s (successful) architectural design project. 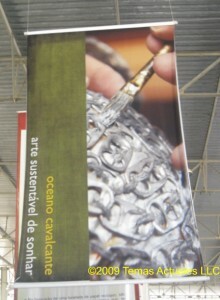 The Center is a big proponent of recycling all sorts of paper products, and this is evident in its banners, literature, lectures and exhibitions of art made of recycled materials. They also offer workshops on making paper sheets from various types of used paper (pretty much every type except magazines and other printed material, because of the ink they use), which they call “artisanal paper” (the banner at right summarizes the process step-by-step), and on making art with recycled paper and board. A ton of old paper can substitute for 2-4 m³ of wood, depending on the type of paper to be manufactured, representing the useful life of 15-30 trees. In the manufacture of a ton of recycled paper, 2,000 liters of water is needed, as opposed to the traditional process (making paper from virgin fiber), where that volume can reach 100,000 liters per ton of paper produced. Recycling paper can save as much as 80% electricity compared to the traditional process. Recycling paper diminishes air pollution by 65% and water pollution 35%. 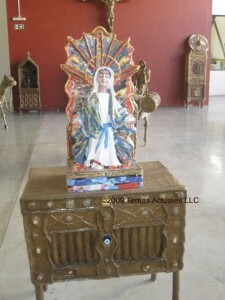 The exhibition hall featured many sculptures made with various recycled materials on pedestals or refurbished furniture pieces. Here’s a few of them. A couple of these reminded me a bit of the wonderful baroque sculptures of Aleijandinho in Congonhas. Also in the exhibition hall were several displays of “Reuse as Art” in the form of “Techno Jewels” (as they are called in the purple banner hanging over them, pictured here) — jewelry made from e-waste, primarily chips and pieces of circuit board. 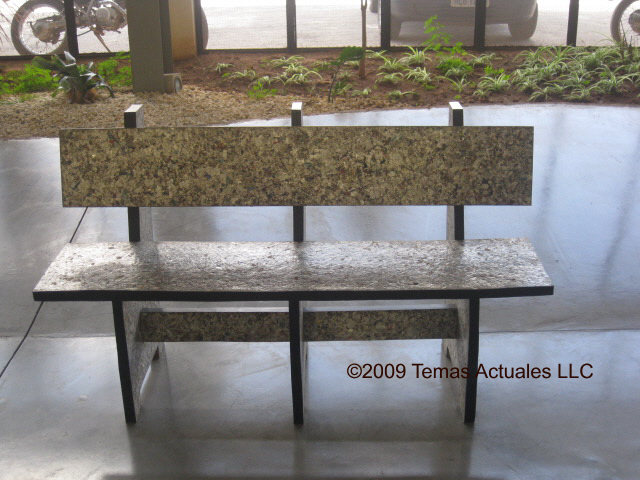 This bench, I’m told, was donated to the Center by Tetra Pak to show some of the things that can be made with recycled aseptic packaging. That’s right! It was made with material from used drink boxes. In small exhibition room between the large central exhibition space and the auditorium one finds several items made with used materials as part of the Center’s unrefined experiments in recycling (or in some cases, as my blog friend Leila at Everyday Trash likes to call it, upcycling). 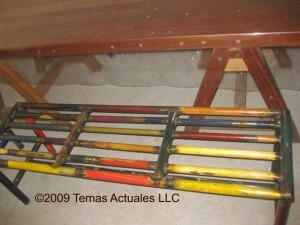 This first one (see right) is a bench made of old pipes welded together and then colorfully decorated with spray paint. 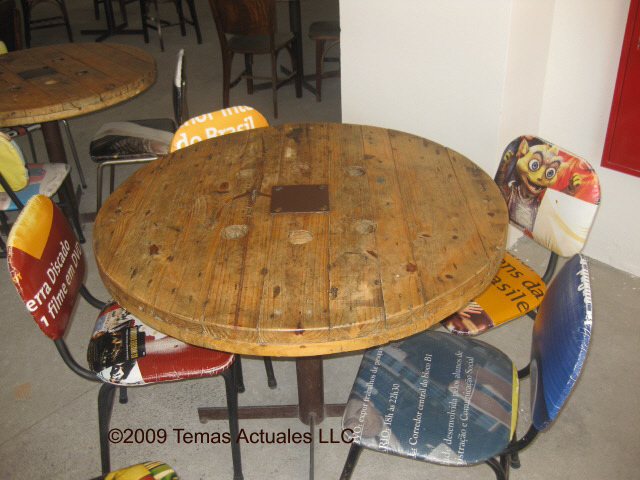 The chairs below are old ones that have been reupholstered with material from used banners. 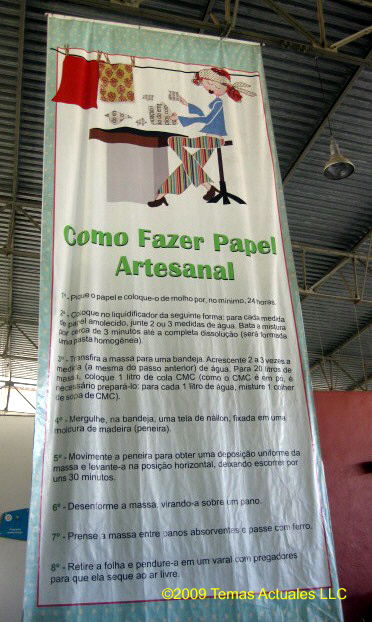 As I pointed out in a post about Paraná’s program to transform used banners into reusable shopping bags, most banners these days are composed of polyester and plastic, and are pretty durable. They are also easily washed, so I suspect that they probably make decent seat covers. 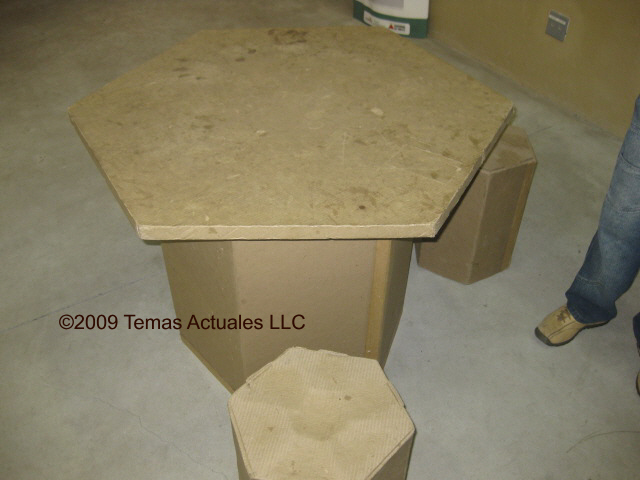 The hexagonal table with hexagonal stools pictured below is made with cardboard. When you lift the table top, you find a storage space underneath. A nice place to put the dominoes or tabletop games. What is this wall of colored blocks near the reception desk in the main hall? A wall of fame, of sorts. 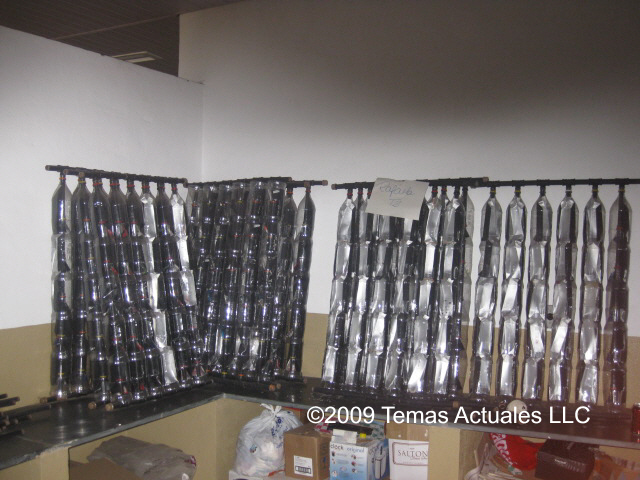 * Federation of Industry of Minas Gerais (Federação da Indústria de Minas Gerais – Fiemg); the Minas chapter of the Brazilian Service of Aid to Micro and Small Enterprises (Sebrae-MG); the Syndicate of Petroleum Derivative Retailers in Minas Gerais (Sindicato do Comércio Varejista de Derivados de Petróleo no Estado de Minas Gerais – Minaspetro); the Federation of Agriculture and Livestock of Minas Gerais (Federação da Agricultura e Pecuária de Minas Gerais – Faemg); the Commerce Federation of Minas Gerais (Federação do Comércio de Minas Gerais – Fecomércio-MG); the Hospital Association of Minas Gerais (Associação dos Hospitais de Minas Gerais – AHMG); Minasinvest (the investment promotion agency); the Minas chapter of the National Service for Trade Apprenticeship (Serviço Nacional de Aprendizado Comercial de Minas Gerais – Senac Minas); the Federation of Freight Haulers of Minas Gerais (Federação das Empresas de Transporte de Cargas de Minas Gerais – Fetcemg); the Syndicate of the Minas Gerais Construction Industry (Sindicato da Indústria de Construção de Minas Gerais – Sinduscon-MG); the Federation of Passenger Transport Firms (Federação das Empresas de Tranporte de Passageiros – Fetram).